Macros allow you to run routine tasks with the click of a mouse. The task is performed much quicker through a macro and prevents errors. Windows XP allows you to schedule tasks, but not record macros. With the addition of the freeware AutoHotKey, you can create macros and then schedule them to run with the task-scheduling feature in Windows XP if you won't be around to click your mouse. Macros can be created by recording the task or creating a script in Notepad. 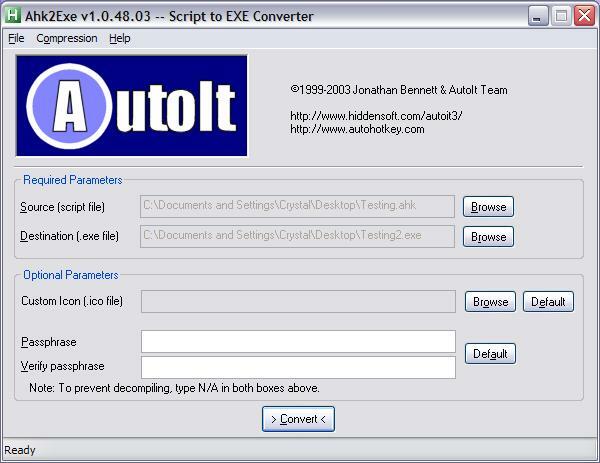 Download and install AutoHotKey (see Resources). The installation wizard will guide you through the installation. Open the AutoScriptWriter. Go to "Start ' All Programs ' AutoHotKey ' AutoScriptWriter II." Choose what you want to record. Mouse movements and window movements are recorded by default. To record any text, choose "Window Text." Press "Record when you're ready to perform your task." Perform your task as you normally do once the window minimizes. Press "Stop" in the top-left corner of the screen when finished. Press "Save" and choose a location to save the file when finished. Convert the script to an executable to run the file. Go to "Start ' All Programs ' AutoHotKey ' Convert .ahk to .exe." Choose your source .ahk file and the source .exe file. To choose an .exe file, type a name in the File Name box, choose where you want to save the file and press "Open." Press "Convert." Create a script from scratch by right-clicking in the folder where you wish to create the macro script and choosing "New ' Text Document." Save the blank document with any name of your choosing with the extension .ahk. Right-click and choose "Edit Script." If you're not familiar with the syntax to use, view the "Tutorial" under the AutoHotKey Help. For more information on using AutoHotKey, view the ReadMe file or AutoHotKey Help for tutorials and examples. Double-click your .exe files to run the macro. You can also choose the .exe file from Windows XP Scheduled Tasks under Accessories. This will allow you to run the file at a specified time.